Click on the above icon in the bottom right corner of your screen to speak to us any time. “It was one of the scariest moments of my life,” one student told us. “It was the most emotional, stressful period of my life,” said another. It wasn’t a bereavement or divorce. They were talking about HE Clearing. Clearing is a terrifying moment for the many students whose future plans have suddenly been thrown into turmoil on receipt of their A-Level grades. As a Higher Education Provider (HEP), you're very familiar with the fact that Clearing is also a busy, stressful period for your staff. But what’s it like for students, whose every phone call could be life-changing? Insights from our HE Marcomms product point to some uncomfortable truths: most universities aren’t doing enough to prepare students for the unexpected and ease students through this stressful, unforeseen, process. Indeed, of the students who go through Clearing, 49% state they would have liked more information on the process before receiving their results. And of these, the vast majority (63%) have little idea how Clearing works. What information was missing from the Clearing process? Those universities that do get it right stand to attract some of the most exceptional students. Clearing is now twice as competitive as it was three years ago. In 2014, 5,300 students were offered places on day one of Clearing. Flash forward to 2017, and that number had doubled to 11,000. It means HEPs should be ready to make a bit of a sales pitch. Bristol University seems to get this right, positioning its Clearing website to high-achievers: “We have places available for exceptional students.” Successful approaches to winning over the students looking to ‘trade up’ include encouraging your most outgoing and communicative lecturers to take to the phones and training admin staff to be really positive, enthusiastic, friendly and welcoming. How important were each of these factors in your decision about which university to choose? Table shows Clearers vs. Non-Clearers. YouthSight, Higher Expectations 2017. Question: How important were each of these factors in your decision about which university to choose? Clearers, n=1,000 vs. non-clearers. Table shows factors ranked by importance. Are you one of our Higher Expectations subscribers? See the omitted results by logging into your dashboard and clicking on 'HEx 2017/18 Importance Project'. 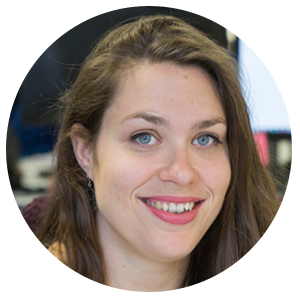 If you don't have access to Higher Expectations, speak to us now to find out how to access our data. How does your performance compare to other UK HEIs? When students pick up the phone on results day, they’re scared and anxious. A friendly, empathetic voice on the other end might just seal the deal. Do you know whether you provide this experience? Insights from Higher Expectations shows a high level of discrepancy between HEIs when it comes to having a “helpful administration”. 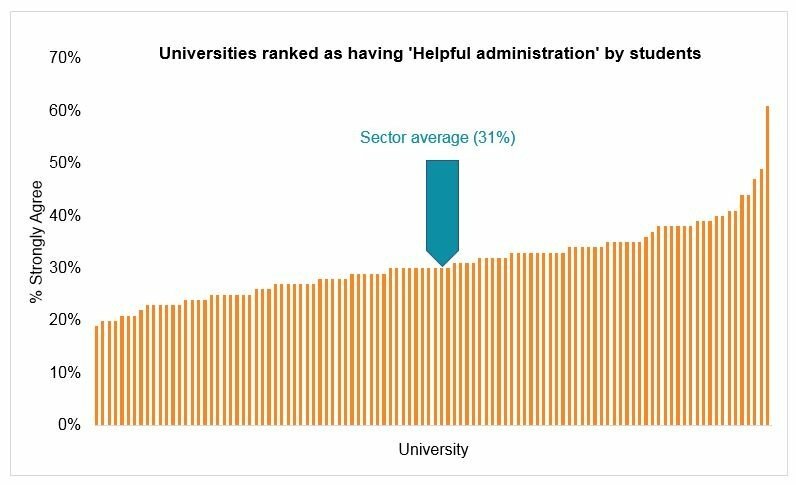 You can see this below in our chart highlighting the proportion of students who strongly agreed that their Institution had a helpful administration. The sector average only sits at 31%. YouthSight, Higher Expectations 2017: Thinking back to when you were choosing universities, do you agree or disagree that your university: Had helpful administration , strongly agree, base size n=12,000 respondents. Where does your institution benchmark? What could you do to get better in the eyes of students? With Clearing becoming more competitive, universities should do more to inform and prepare students for the Clearing process. Clearing is not just a last-chance saloon for students, it’s a highly competitive process in which HEIs can attract standout applicants. The most successful universities will educate students about Clearing and make the process smooth and welcoming.